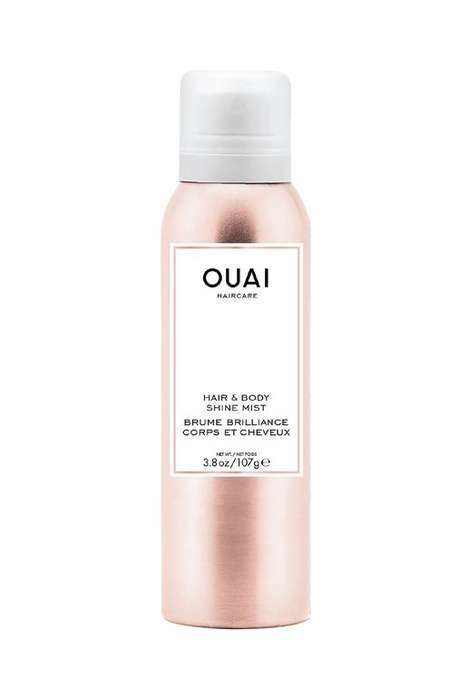 Haircare and body care products are typically separated into different categories to suit different purposes but the all-new Hair & Body Shine Mist from Ouai is a versatile product that can be used all over. The weightless mist helps to add a healthy luster to one’s locks and skin with its buildable formula that is hydrating, frizz-taming and rich with nutrients from amaranth oil and squalane. The glow-boosting properties of the multitasking product can be attributed to the inclusion of diamond powder, which helps to create what Ouai described as an “instant mirror-like shine.” As well as creating shiny hair and glowing skin, Ouai’s Hair & Body Shine Mist leaves behind the pleasing scent of rose, bergamot, lychee, cedarwood and white musk. The new product is said to be comparable to Ouai’s Rose Hair & Body Oil, which is more suited to restoring moisture.